For a beginner it can be really intimidating picking the proper rig to go cat fishing. There are hundreds of different rigs and styles out there. So I am going to walk you through a rig that works all over the world and is the most versatile and simple of any cat fish rig I know: The basic fish finder rig. Classic fish finder rig. A super easy beginner catfish rig. This rig is a super easy beginner catfish rig. 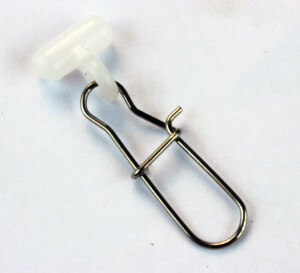 What makes this so simple is that it can be fished just about anywhere, it only requires three pieces of tackle to make and the whole thing is tied with only three knots. 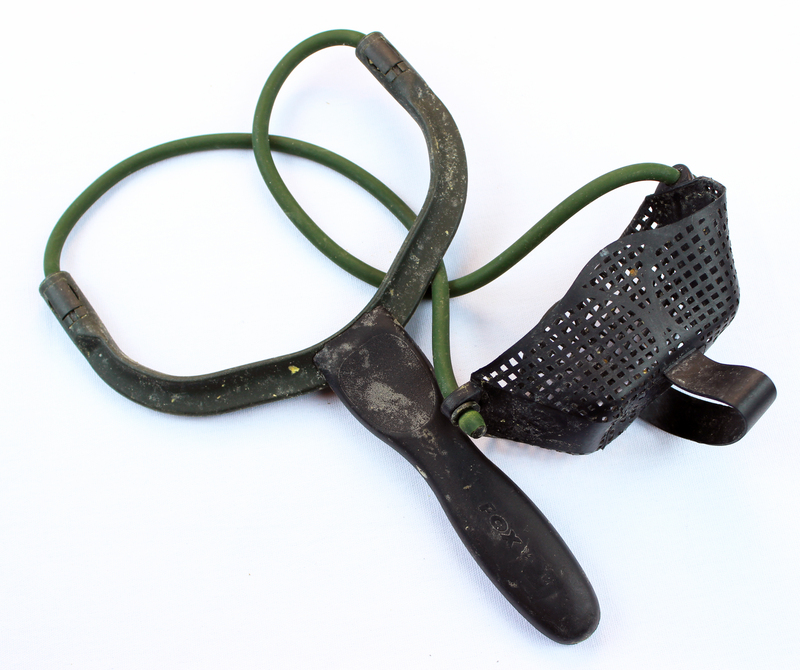 The basic fish finder rig is comprised of a sliding lead (“sinker”), a swivel, some leader and then the hook. Why is this such a great rig for beginners? The fish finder rig is great because it is simple, it doesn’t require any expensive parts, its sensitive and it doesn’t spook fish. This rig is sensitive because every little movement of the hook sends vibrations straight back to the rod without the lead interfering. If the lead did not slide, the vibrations would be dampened by the lead. 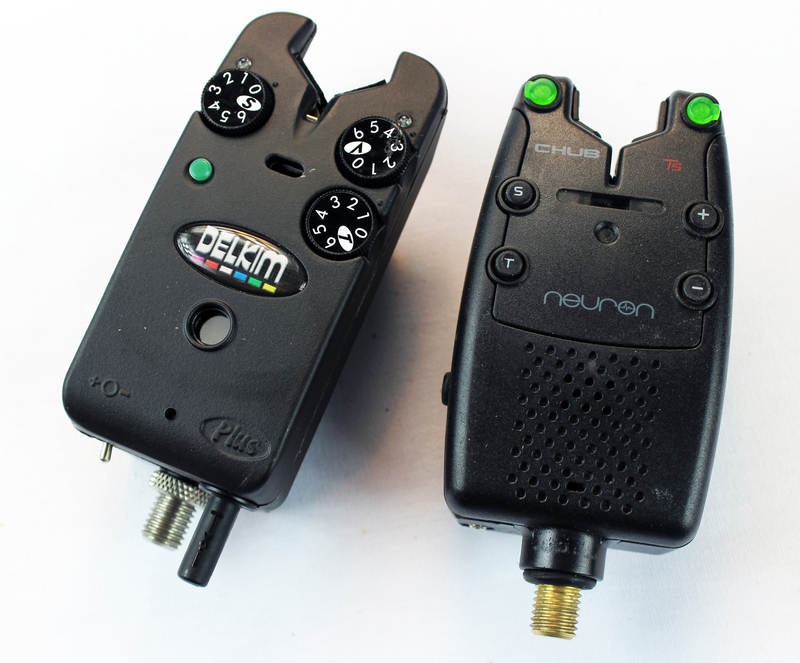 The fish finder rig doesn’t spook fish as easily because the fish don’t feel any resistance when they pick up the bait. 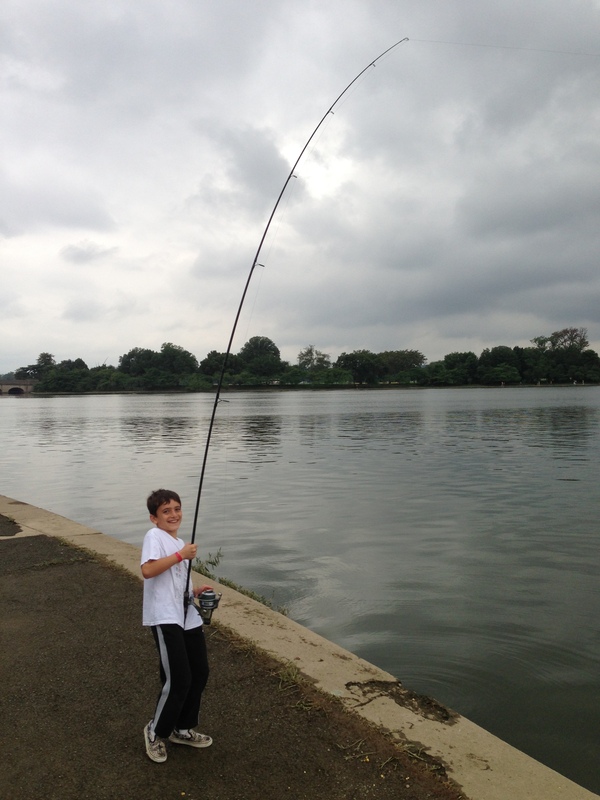 Because the lead slides along the main line, the fisherman can control how much resistance the fish feels. If the fisherman fish’s with the main line tight, the fish feels tension right away and the hook pulls into the fish’s mouth sooner. 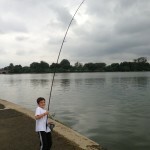 If the fisherman fishes with slack line the fish can swim away with the bait before it begins to feel anything. 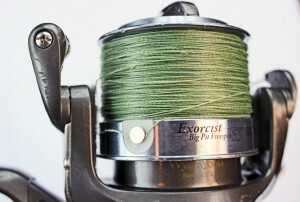 This allows the fisherman to adjust the tension in the line depending on whether the fish are bold or spooky when they bite. How do you fish the fish finder rig? This rig belongs on the bottom. You use it when the fish are feeding on the bottom. Most of the time cat fish are feeding at or near the bottom. You cast this rig out where the catfish are and let it settle to the bottom. Once on the bottom you reel the line in slowly until you feel tension when the lead hits the swivel. Most of the time I fish this rig with my line tight enough that there is a very slight bend in the tip of my rod. If the fish are grabbing the bait very cautiously and not immediately running away with the bait, then I switch to putting about 12-18inches of slack into the line. Inline flat lead: great for rivers. There are two ways to make a sinker or lead slide along the line. First option: you use an inline lead. An inline lead is basically a big lead bead. You feed the line through the hole in the center of the lead and you are done. 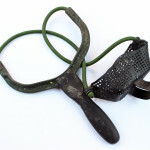 Second option: you use a slide with a clasp on it and you clip the lead to the slide. 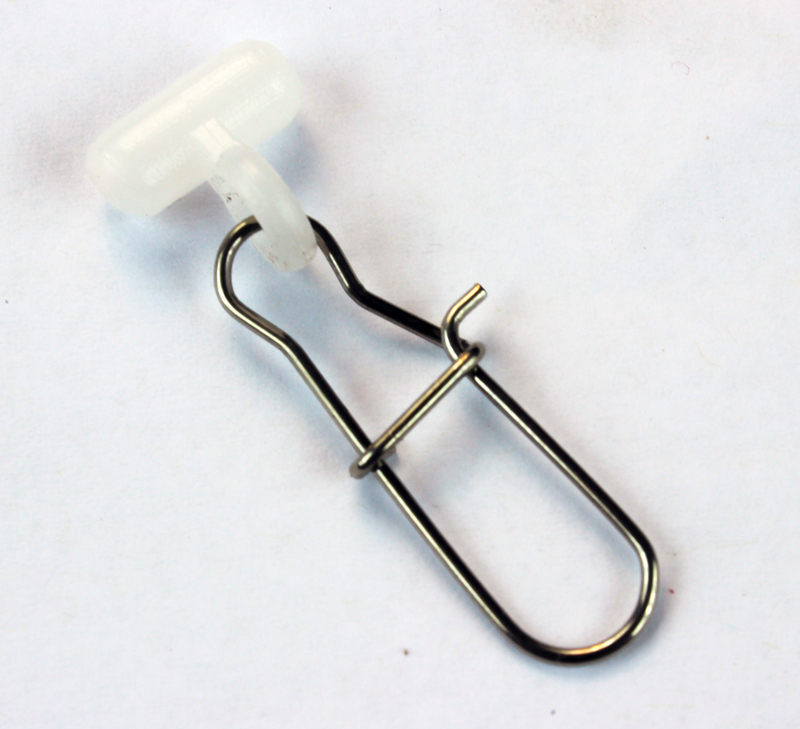 Slip clips are essential for fish finder rigs. Using an inline lead is my favorite way to go but it has its limitations and its benefits. An inline lead is less likely to get tangled in the line and it requires one less piece of hardware. However, using a slider allows you to easy change leads. 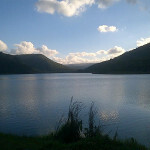 If you are fishing in a river you may need different amounts of lead depending on where in the current you are fishing. More current, more lead. Less current, less lead. 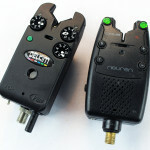 If you have a slider you can adjust your lead to match the current instead of cutting your line and retying each time. When choosing the size of your lead, you definitely want enough lead to cast far enough and enough weight to keep from being dragged away in the current or wind. But once you have got enough lead to do those things you also want enough lead to set the hook. The lead is what helps the hook dig into the fish’s mouth before you grab the rod. I prefer at least 2 ounces of lead when fishing for catfish with a fish finder rig, but 3/4 oz will do in a pinch if you are using sharp smaller hooks. The shape of the leader depends on whether you are more concerned with casting distance or preventing your lead from rolling around. Flat leads tend not to be as affected by current. 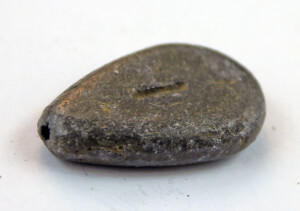 Round leads tend to cast further. So pick your shape based on what you are trying to achieve/prevent. 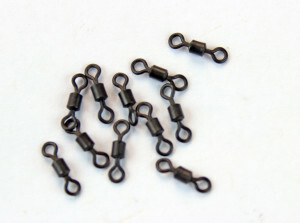 The swivel’s main purpose it to stop the lead from sliding all the way up to the hook. Generally you want there to be about 6-18inches of line in between the hook and the lead. However, you don’t always need a swivel. When fishing in current, you can put the lead above the hook without a swivel. After the lead settles to the bottom you can let out 12 inches of line and the current will sweep the hook downstream away from the lead. So the swivel is really only necessary when you are not fishing in significant current. When I do fish with a swivel I like to have something rubber or plastic in between the swivel and the lead. 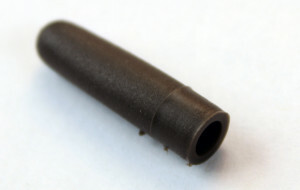 Without a stopper or bumper inbetween the swivel and the lead, sometimes the swivel will partially jam into the inline lead or the slider and prevent the lead/slider from sliding. A bead or rubber sleeve can prevent this. I attach the lines to either end of the swivel using a Palomar knot. I also like to use a helicopter sleeve to protect and camouflage my swivels. The swivel you choose should be as strong as your leader or better. If the swivels don’t tell you their strength on the package, I generally use a #8 swivel for my beginner cat fishing rigs. If you want to get fancy you can get put a fancy little swivel clip on the leader end of the swivel so that you can switch out leaders and hooks easily. This is nice for switching rigs quickly. You want an abrasive resistance leader. I love braided lines and highly recommend the Spiderwire Stealth. The leader should be slightly weaker than your mainline so if you break off it breaks off bellow the swivel and you get your lead back. The leader should be about 6-18″ long. Circle hooks are far and away the best choice for beginner catfish rigs. Circle hooks work by only digging into the catfish’s mouth as the hook is being pulled out of the catfish’s mouth. 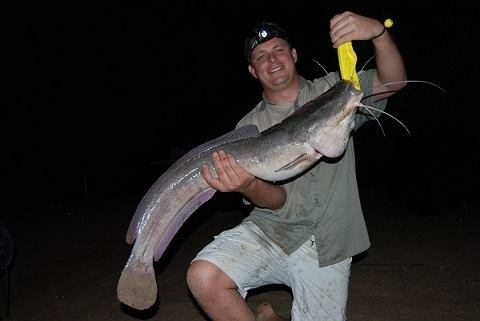 This means that catfish rarely swallow circle hooks. You’ll find that almost all of the cat fish will be hooked in the corner of the mouth or in the lips. 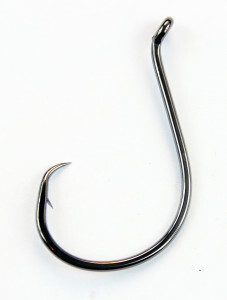 If you choose to use a J hook the fish may swallow the hook and get it stuck in their throat or gut. Circle hooks are so much easier on the fish and easier to get out. You do NOT set the hook when using a circle hook. You simply wait until the fish has hooked itself, then begin reeling. 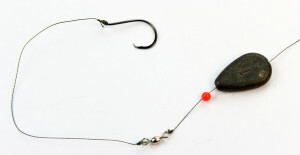 I generally use a 4/0 Gamagatsu circle hook for most beginner catfish rigs, but if I am going for trophy cat fish I will upgrade to a bigger hook (up to 10/0). I generally attach the hook to the leader using the improved clinch knot. 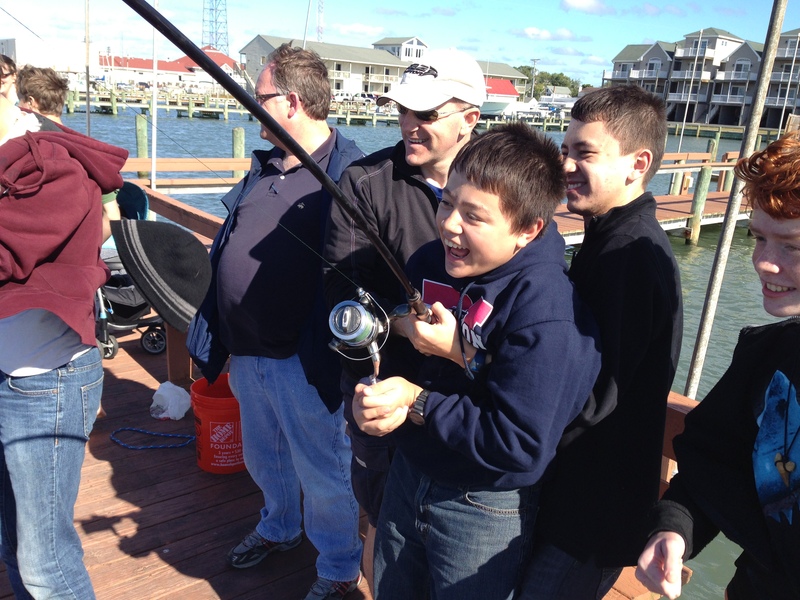 Most fisherman know what chumming is but don’t know how to do it or when to chum. Chumming for catfish can be a great tactic. 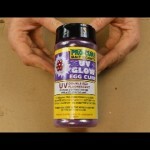 It works especially well on channel cats, wels and blue catfish. When you want to catch a lot of cat fish out of the same fishing hole, chum is the way to go. Chum helps gather in large schools of fish, but it also keeps cat fish from spooking while you catch their friends. If you keep a trickle of chum going into a spot, the fish will spook less easily when they are feeding confidentially. Whenever there is a lot of fishing pressure (because of you or your fishing neighbors) chumming will help the fish calm down as they gobble up freebies. 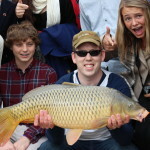 Chumming is also a great tactic when you have limit number of places to fish. If you can’t chase the fish, then bring the fish to you. Chumming the fish draws them into the spot. 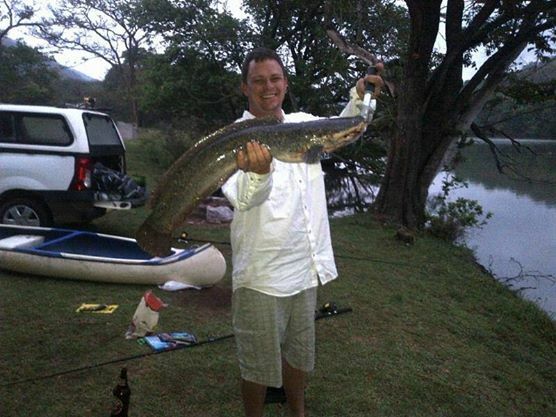 The point of chumming is to keep catfish in the area and to keep them feeding aggressively. 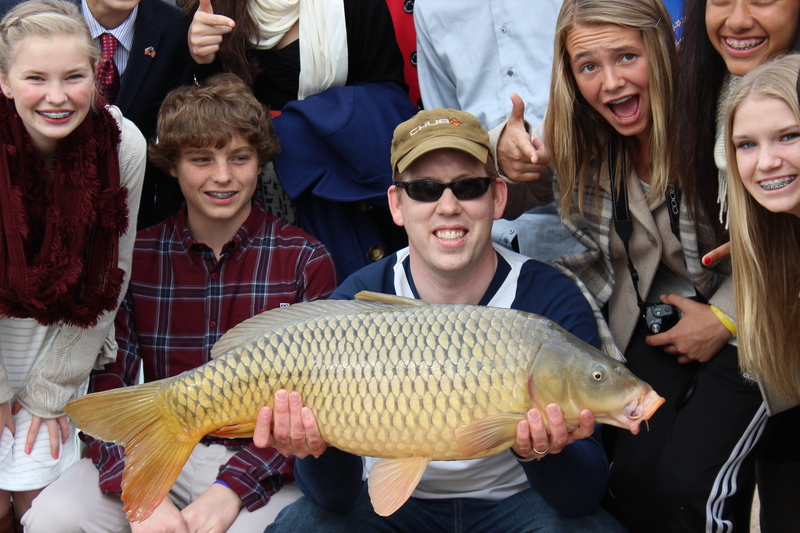 Obviously, you don’t want to get the catfish full of chum before they eat your bait. Spreading out your chum, keeps the catfish hunting around for your chum and means it takes longer to for them to eat all the chum. Steadily and regularly chumming a spot is the key to keeping the fishing interested but hungry. Chumming at the same time of day when possible is also great. Fish have long memories when it comes to finding food. If you have a local favorite spot, dropping a couple handfuls of chum at the same time of day for a couple days prior to fishing is a great way of getting fish congregating. Sling shots, baiting spoons, spods, spombs, PVA bag, method feeder, bait boats, and your own two hands are great tools for chumming. Which tool need to use depends mostly on the distance you are chumming at and your budget. 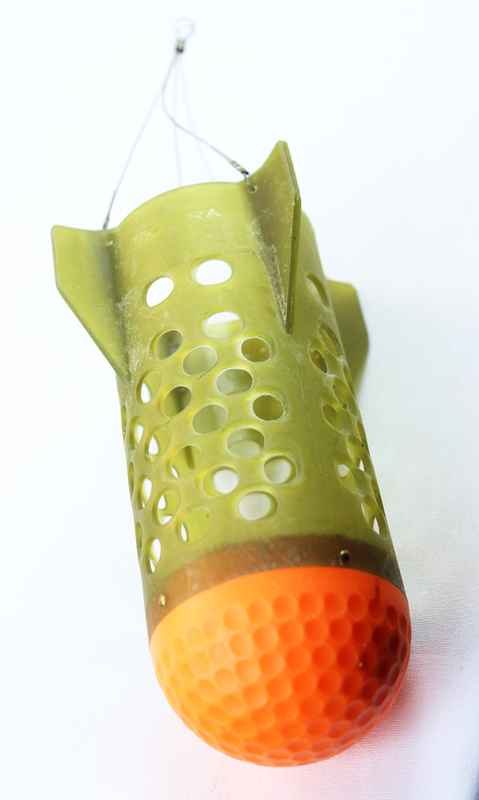 A chumming spod from Nash Tackle. A good overhand chuck is helpful at up to about 15-18 feet depending on what you are throwing. After that, a sling shot and baiting spoons helps a lot. 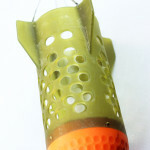 Spods and spombs are effective at up to about 110 yards depending on your skill and equipment. 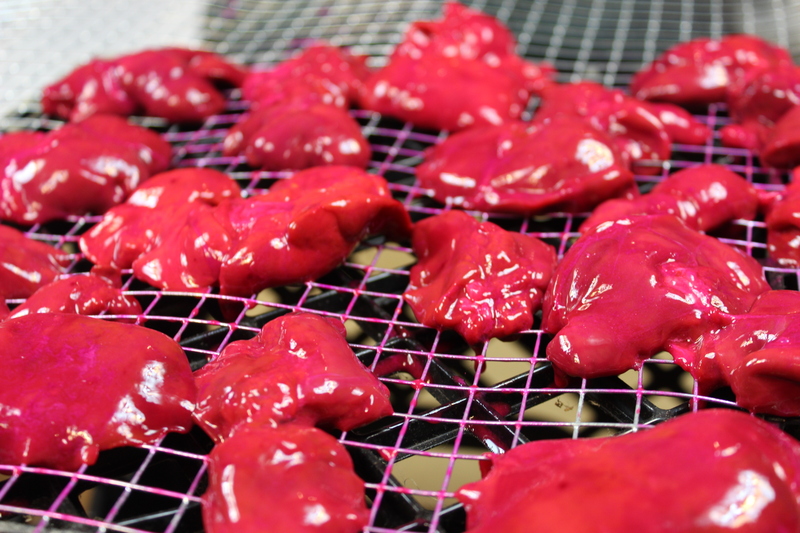 PVA bags require less skill and are more convenient than spods/spombs and cost less to try, however PVA’s limit your chum volume substantially. Method feeders work good for chumming a spot tight to your hook bait but are limited in regards to chum volume. Bait boats are incredible chumming tools but they cost $7,00 to $2,000. Plus all the jealous fisherman without bait boats will tease you as a vent to their envy. 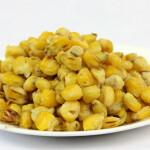 My personal favorite catfish chum is deer corn. I soak it and then boil it until is squishes between the fingers. I like it because I can use the corn kernels as a hook bait as well as chum and because it costs only $12 for a 50lb of dry deer corn which then makes about 120 lbs of chum. 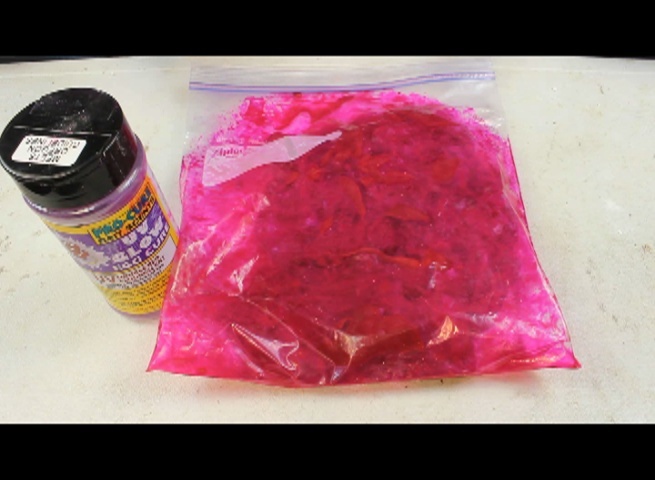 The down side to deer corn is that the catfish fill their bellies rather quickly, so if you are using deer corn, use it more sparingly, spread it out more and chum through out your fishing session. Sour wheat is another great chum. Sour wheat is soaked & boiled wheat that is left to ferment for a couple days. Sour wheat can’t be used as a hook bait but the smaller kernels mean that the catfish don’t fill up on the wheat as quickly as they do with deer corn. Consequently, sour wheat is a great chum if you want to chum a spot the night before you plan on fishing. Wheat costs about $40 for a $50 lb bag. So it is more expensive than deer corn, but a 50 lb bag of dry wheat makes a lot of chum. Fish Feed can be bought from many feed stores. 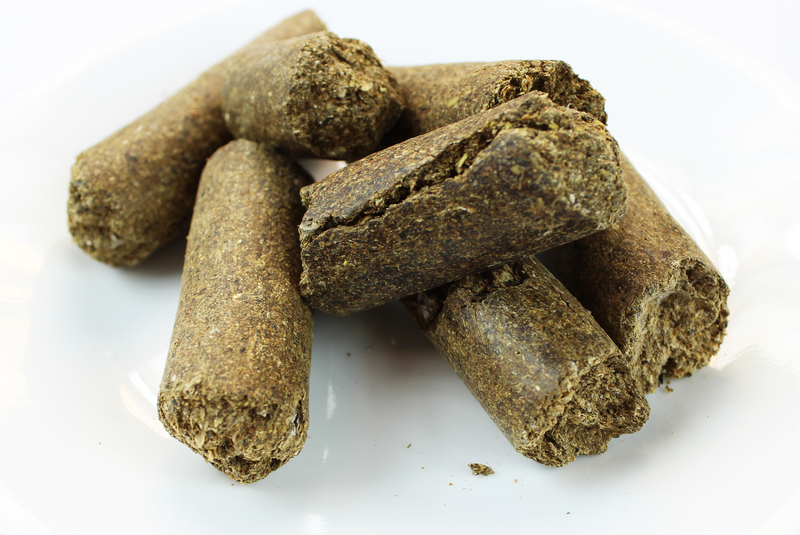 Fish feed pellets work especially good on stocked catfish who were likely raised on the stuff. 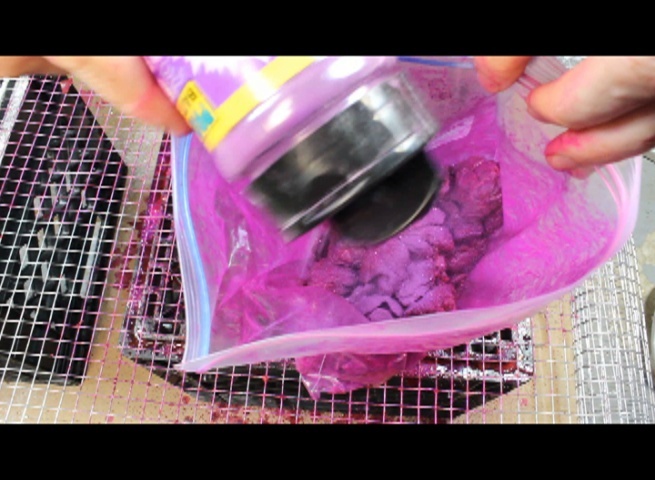 A 50 lb bag costs less than $20. 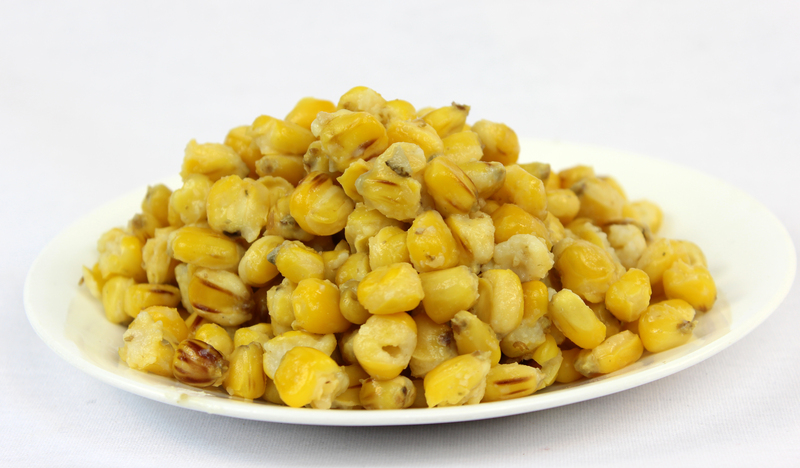 The pellets are smaller than corn kernels but larger than sour wheat kernels so adjust accordingly. Range cubes break down slowly, forcing the carp to hang around to nibble on them. 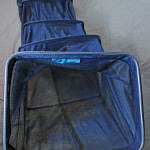 Range Cube cost about $14 for a 50 lb bag and can also be bought at feed stores. Large range cubes won’t be eaten whole by smaller fish and blue gills until they have soaked for several hours and broken down a bit. This means that range cubes can’t get gobbled up too quickly and keep the fish in one spot longer. However, large catfish can eat range cubes whole and fill up rather quickly on them. Fish meal by itself is not a very good chum. Fish meal is just a powder. However, you can mix fish meal with other chums to give it an added kick. 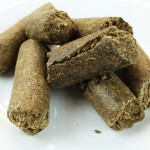 Manufactured carp fishing and cat fishing pellets can make great chum. 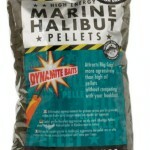 Marine halibut flavors work excellent as cat fish chum. 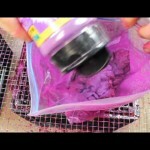 Flavored liquids and powders can be added to the chums for extra kick. 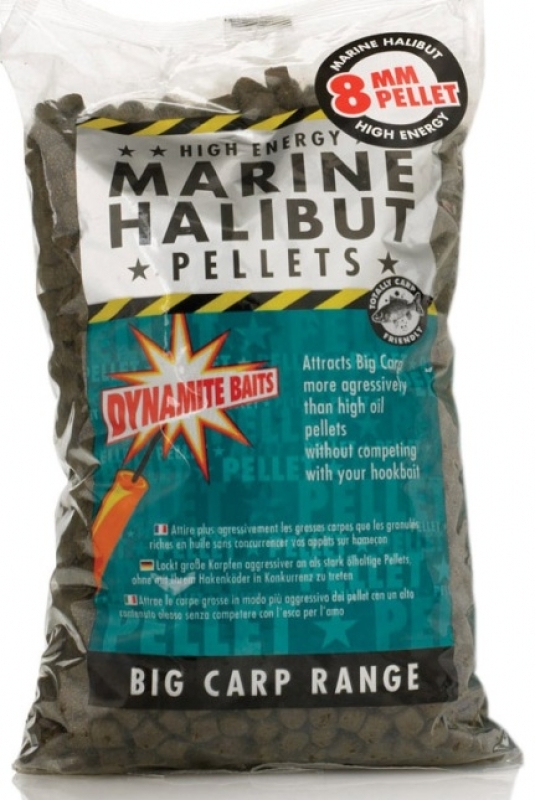 These pellets are fabulous for catching lots of catfish with the added advantage of not rotting in the trunk of your car. The egg loop knot is a fabulous rigs, but unless you are an Alaskan salmon fisherman you have probably never heard of it. 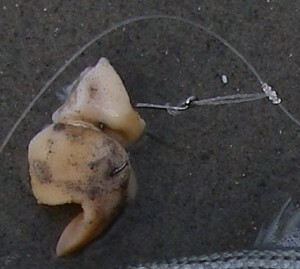 The egg loop knot was design to help prevent salmon eggs from falling off the hook when fishing for silver and king salmon in Alaskan rivers. However, don’t let the name fool you. 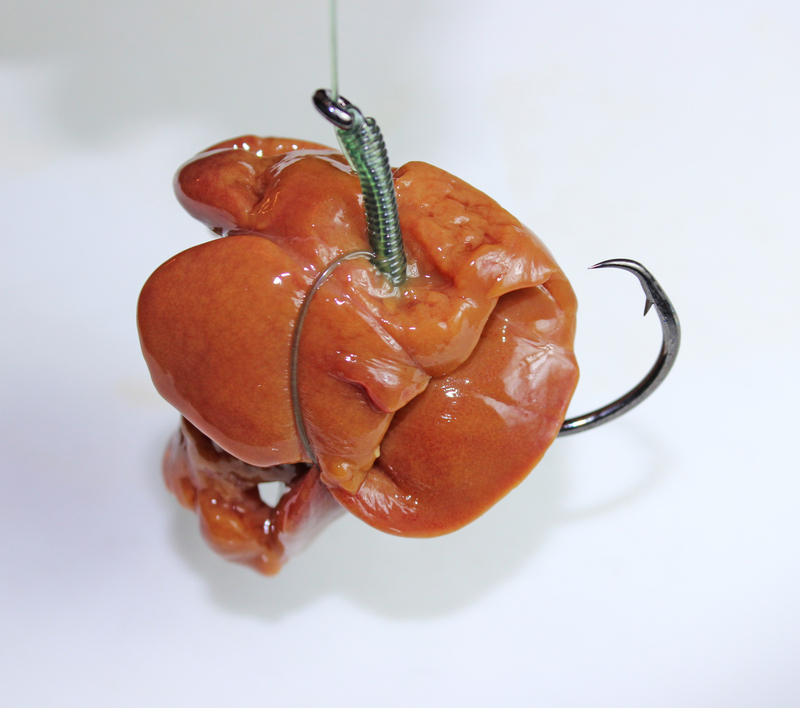 Anytime you are fishing with soft squishy baits that fall off the hook too much, the egg loop knot is a life saver. The egg loop knot is basically a knot-less knot or snell knot with a a twist. 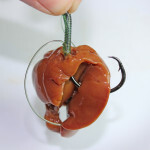 The result is that the egg-loop knot has a retractable knot along the shank of the hook that you loop around the bait in order to pin it to the shank of the hook. To use the egg loop knot, just bait the hook normally. 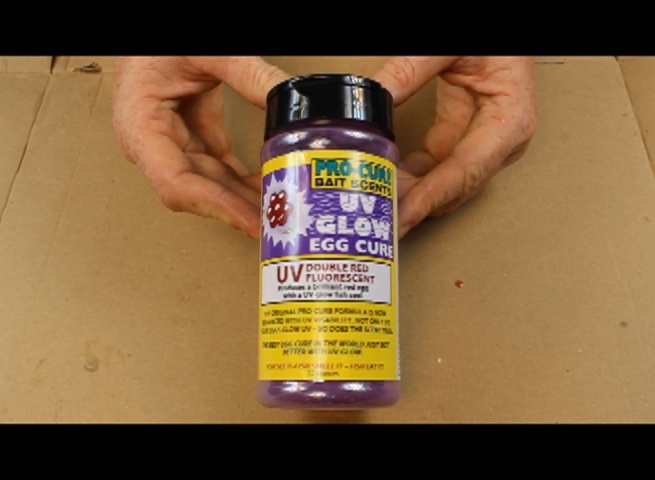 After baiting the hook, extend the egg loop. 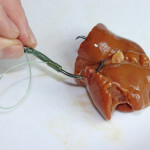 Put the egg loop around the dangling parts and then tighten it to cinch up the bait. 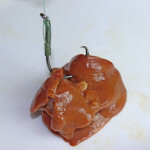 Soft baits like chicken liver don’t come off the hook easily once secured with an egg loop knot. When catfishing with chicken livers, clams, squid, or cut bait that has gotten a bit too soft I love to use an egg loop knot. An egg loop knot can really put some fish on the bank. One of the worst things that can happen is to cast your rig out only to have your bait fall off when it hits the water or after getting torn up by small fish. You sit there waiting for a catfish to bite a hook with no more bait on it. An egg loop prevents that from happening. This is a great example of how to hook a hard bait like this cut piece of shad. 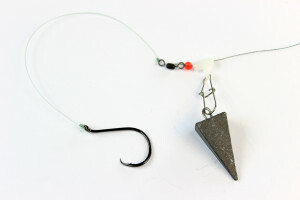 1) Hard Baits: Leave as much of the hook exposed as possible. When you are fishing with tough or hard baits such as cut shad, live fish, crawdads ect. you want as much of the hook point exposed as possible. Have the point of the hook buried in the bait will prevent the point from digging in a catching the fish when it is in the fishes mouth. Having the hook point hidden can also increase the chances that a fish swallows the hook and gets gut-hooked. This will likely kill the fish even if you can get the hook out. 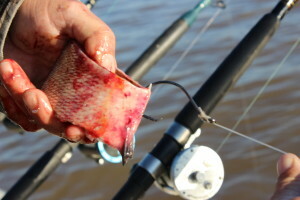 Ideally, find a tough part of the bait (such as the shads belly or the through the eye). You don’t want the bait to tear free easily. Push the hook point all the way through and clear. 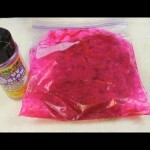 2) Soft Baits: Get as much on the shank as possible. Here is a great example of soft bait on a hook. Notice the hook pierces the bait multiple times but the point is still exposed. 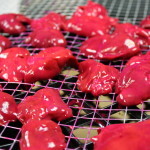 Soft gooey baits such as clams, chicken livers, fish guts, salmon eggs, ect. tend to fly off the hook when casting. The key to keeping them on the hook is to thread the hook through them as many times as possible to increase contact with the hook. 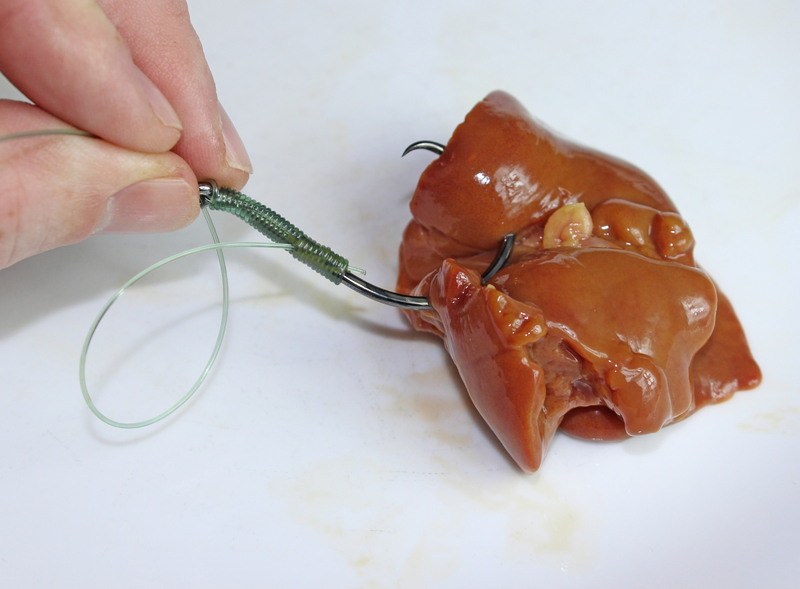 Using an egg loop knot can help for really soft baits. 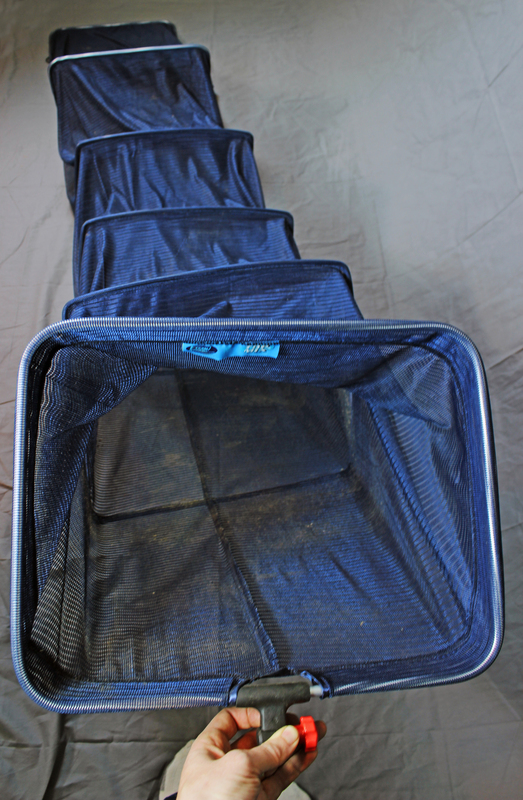 You can toughen up soft baits by drying them in the sun. 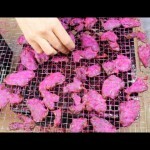 Chicken liver, clams and even worms will become much more durable after they have dried in the sun a little. This is often all you need to keep them from flying off the hook when casting. If your bait is having a hard time staying on the hook, you can use several tricks to keep it on the hook longer. Bait Elastics is basically stretch string that you use to tie your bait to the shank of the hook after piercing it several times with the hook. Egg loop knots are a special knot that has a noose along the shank. You pierce the bait and then slip it into the noose and pull. 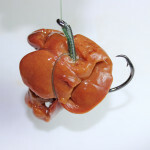 The noose tightens and pins your bait to the shank, giving it a little extra support when casting. Bait mesh can be old cut up pieces of nylons or any other fine mesh, but you wrap it around your bait to create a little sack of bait that you then pierce through with the hook. The mesh gives your bait that extra added support. 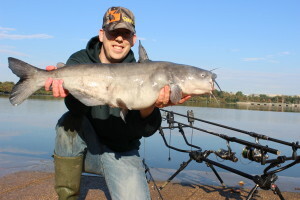 Where to cast when fishing for catfish? You pull up to a beautiful spot. You have your gear and bait ready to catch catfish. You set everything up and then you have to decide where to cast. Where to cast when fishing for catfish is a daunting questions. 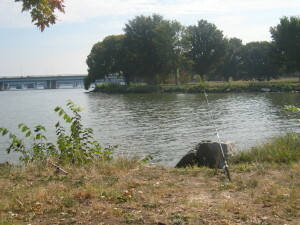 Most people who are fishing in a lake or large river, can’t tell the difference between one spot from the other so they cast as far out into the middle as they can reach. This is the least effective way to catch catfish. 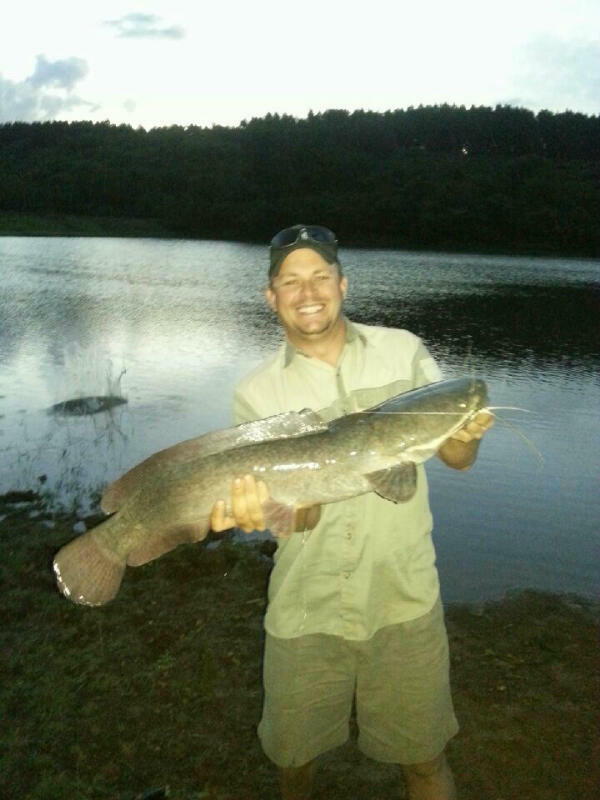 So here are some tips to finding where to cast when cat fishing from shore. 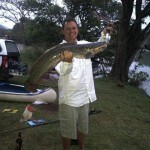 The biggest catfish I ever caught (69 lb blue catfish) was caught in 4 feet of water. 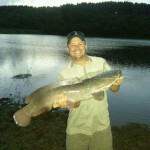 The third biggest catfish I ever caught (53 lb flathead) was caught in 4 feet of water, 10 feet from shore. Often when I fish lakes I am fishing feet from the bank. Deeper is not always better. 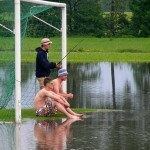 If you want to catch more than one or two fish don’t cast far out first. 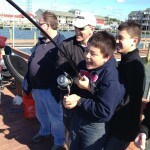 If you hook a fish out far from shore, you must reel in a thrashing freaked out fish past every other fish in that hole. The biggest smartest catfish, won’t stay around if a thrashing 3 pounder is dragged across the top of the head. If you catch all the close fish first, then you are less likely to disturb the remaining fish. Structures are submerged items like trees, sunken culverts, big rocks ect. 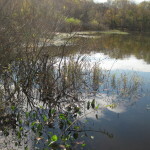 These are great places for catfish to hide and hunt. Features are where two types of environments meet. Some common features are where a fast current meets a slow current. Or the border of a reed bed or the slope in between deep and shallow water. 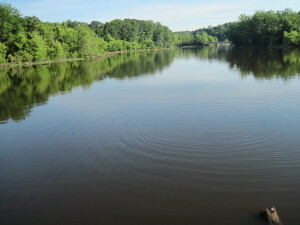 Humps and holes can be awesome features when fishing a wide expansive flat. Features are another great place to find catfish. 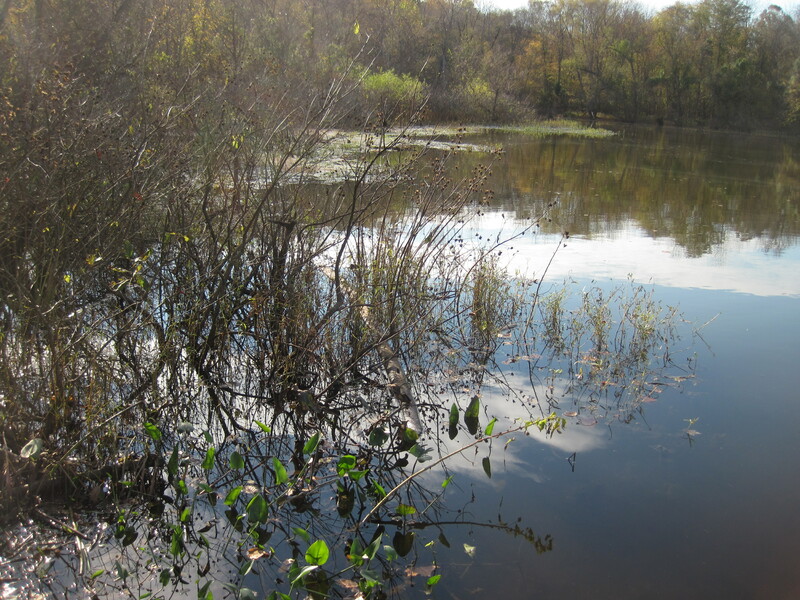 When you look out across a large lake you can not tell where the humps, holes, weed beds, drop off and sunken logs are by looking at the surface. A marker float solves that problem. A marker float is basically a buoy that is tied onto the end of your mainline with a sliding sinker running along your mainline above the buoy. 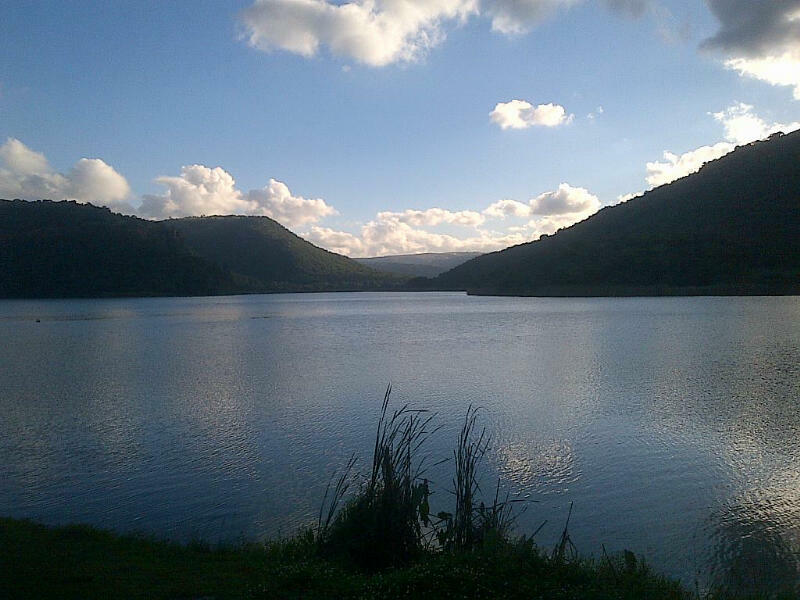 You cast the mark float and lead out into the lake and drag the lead and buoy along the bottoms feeling the bottom. When you find an interesting feature, you let out some line until the buoy pops to the surface. You then know that feature is directly underneath the float and you know where to cast. By measuring the amount of line it takes for the marker float to break the surface you also know the depth. This is key if you are fishing with bobbers or if you are trying to find depth changes. 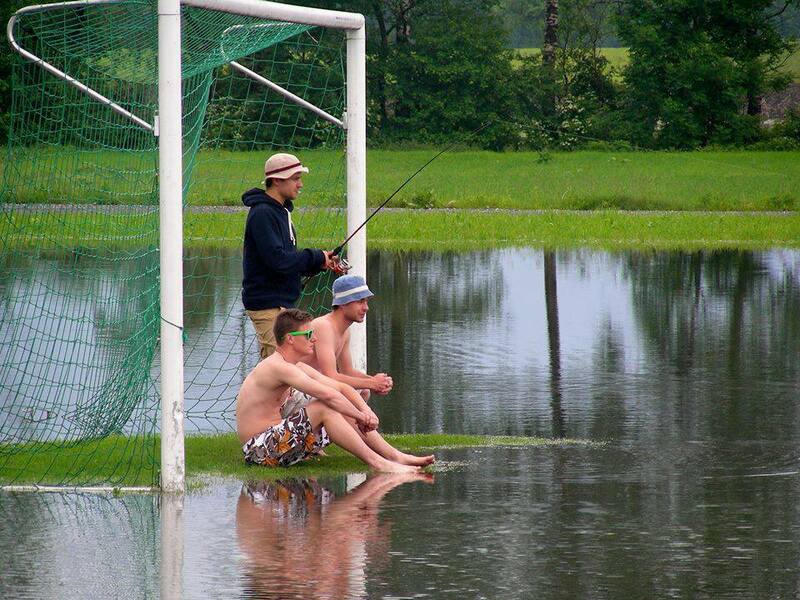 If you want to find the best place to cast, you have to cast to a lot of places. 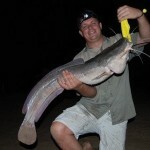 In the day time catfish tend to stay in around certain features and then rove around at night. So if you are fishing in the day time (especially in the winter), and you don’t get a bite within 15 minutes of casting then dont wait for a fish to come to you. After you have landed a couple fish if you don’t get another bite within about 15 minutes then move. If you fish the same place a lot then keep a journal. Write down the features you find and the spots you’ve tried. Each time you catch a fish, write down what you caught him on and the conditions: water temperatures, time of day, time of year ect. Not only does preserving this data help you analyze your favorite cat fishing holes, the effort of recording this data forces you to pay attention to these factors and you will see patterns.